The Florida Veterans Foundation is one of the hardest working veteran advocate teams in the state of Florida. 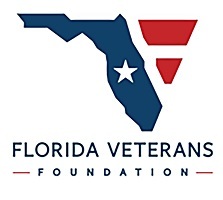 The majority of the Foundation Directors are retired, military disabled veterans who donate many hours per week of their time to assist and help guide Florida’s veterans through a variety of issues veterans face today. This includes access to healthcare, education, jobs, VA benefits among other issues. Check out their website at: Florida Veterans Foundation.